Global travelers will have additional route and fare choices as Sky Team has announced that Continental Airlines, KLM Royal Dutch Airlines, and Northwest Airlines are now full members of one of the world's fastest growing airline alliances. The Sky Team Governing Board also revealed that effective Sept. 15, passengers would be able to accrue and redeem frequent flyer miles interchangeably on any of the nine member airlines. With the addition of three new members, Sky Team now serves 341 million passengers with 14,320 daily departures to 658 global destinations in more than 130 countries. The Sky Team is the global airline alliance partnering Aeromexico, Air France, Alitalia, Continental Airlines, CSA Czech Airlines, Delta Air Lines, KLM Royal Dutch Airlines, Korean Air and Northwest Airlines. Through one of the world's most extensive hub networks, Sky Team offers its 341 million annual passengers a worldwide system of more than 14,000 daily flights covering all major destinations. 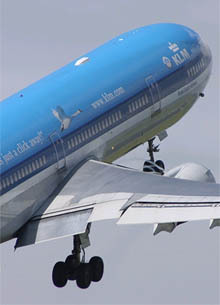 Sky Team's Governing Board said "The entry of Continental, KLM and Northwest into the alliance marks the single largest airline integration in aviation history and is an important milestone for global airline customers. When the alliance launched in 2000, we promised Sky Team would alter the competitive landscape for airline alliances by focusing on the needs of our customers. Our growth over the past four years in terms of network reach, frequencies and destinations is a testament to our commitment to continually live up to that promise." The three new carriers add to Sky Team's extensive network of hubs and destination cities, allowing member airlines to provide their passengers more travel options. Together, the three new members add ten additional hub locations and 141 new destinations to the alliance's roster, strengthening Sky Team's reach in all key travel regions. In Asia-Pacific, Northwest's hub at Tokyo's Narita airport and Continental's Guam hub will join Korean Air's Seoul-Incheon hub as Sky Team's major hubs in the region, linking passengers to 11 new destinations in five countries. Sky Team's Asia offerings now include Northwest's new service from Portland, Oregon to Tokyo-Narita and service from Detroit to Guangzhou, China, scheduled to begin in late October. In addition, Continental begins new service between Honolulu and Nagoya, and Japan in December. Thanks to combined network and fares, Air France and KLM are able to offer unparalleled service between Europe and Asia. In Europe, with four European carriers, including Europe's first pan-European airline group, Sky Team will now offer passengers more choice on transatlantic routes. With Air France, Alitalia, CSA Czech Airlines and KLM, Sky Team has hubs and strong market positions in all European regions and a very extensive intra European network. In the Americas, with Aeromexico and Delta Air Lines, the addition of Continental and Northwest will further open up service to and from Canada, Latin America and the Caribbean, adding cities such as Quebec, Quito and Aguadilla (Puerto Rico) to SkyTeam's network. Continental's extensive transatlantic network serving 19 destinations will also provide SkyTeam customers with additional service options from its international gateways in Houston and Newark/New York. Northwest's Detroit and Minneapolis hubs provide additional travel options for European customers bound for Midwest cities. In addition to more travel options, SkyTeam member airlines will provide customers greater recognition in terms of frequent flyer mileage accrual and redemption possibilities, all with consistent, high quality service. Effective Sept. 15, 2004, passengers traveling with any of the nine member airlines can earn miles towards SkyTeam Elite status and redeem miles on any of the nine airline members. This means that customers can accrue valuable frequent flyer miles quicker than before. On the ground, SkyTeam Elite Plus passengers have access to an additional 62 state-of-the-art airport lounges with amenities to make travel easier, bringing the total number of airport lounges to more than 390. 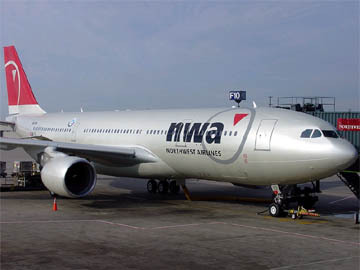 For example, Northwest's WorldClubs at Detroit, Minneapolis/St. Paul and Tokyo and all of Continental's Presidents Club locations feature wireless fidelity (Wi-Fi) access and computer battery charging ports. And Northwest's WorldClubs at Detroit and Tokyo have showers to provide a truly refreshing break for busy global travelers. In addition, passengers will continue to experience the existing SkyTeam customer benefits, including a single check-in for connecting flights and baggage. 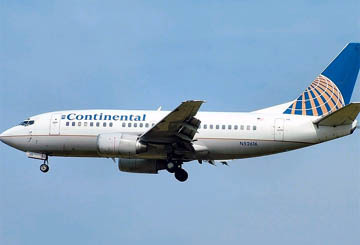 Gordon Bethune, Chairman and CEO of Continental Airlines, said, "Around the world, today's air travelers demand reliability, flexibility and high-quality service. We know from our previous dealings with them that the SkyTeam members are world-beaters by all these measures, and we're proud to be part of a global alliance that shares our focus on the customer." "SkyTeam is not only benefiting the passengers, but also the cargo customers," said Leo van Wijk, CEO and president of KLM Royal Dutch Airlines. "SkyTeam Cargo, with Aeromexico, Air France, Alitalia, CSA, Delta, KLM and Korean, offers the largest global cargo network for its customers. SkyTeam Cargo operates a worldwide system of more than 500 destinations in 110 countries and provides a consistent standard of performance, quality and service." "We look forward to providing our customers with even greater access to the world through SkyTeam," said Richard Anderson, CEO of Northwest Airlines. "In turn, Continental, KLM and Northwest will provide the consistent, quality service SkyTeam passengers have come to expect." 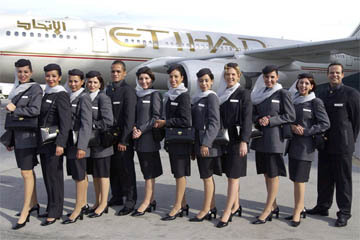 Etihad Airways, the national airline of the United Arab Emirates (UAE), will launch its service to Indian and Pakistani cities of Delhi and Karachi respectively by the end of the year, chairman of its board of directors Sheikh Ahmed bin Saif Al Nahyan has announced. Sheikh Ahmed was speaking at a ceremony in Abu Dhabi on Sept. 25, 2004 launching the new Abu Dhabi-Mumbai route, which operates seven flights a week as from Sept.26. The new route is the airline's 11th destination in 10 months. He said negotiations are underway with the Egyptian authorities to launch direct flights from Abu Dhabi to Cairo. "Talks are also being held with Saudi officials to operate service to different destinations in the kingdom," he added. He said the new direct route to Mumbai was part of an expansion plan by the airline following conclusion of deals with the French Airbus and US Boeing companies to supply Etihad with airplanes. Indian Ambassador to Abu Dhabi Sudhir Vyas welcomed the launch of the new service saying it mirrors the vitality of relations between India and UAE and enhances bilateral trade ties. Etihad Airways had contracted in July to purchase 24 Airbus planes at a cost of $7 billion with a wide range of options to buy extra 12 aircraft. Earlier this month the airline signed another contract with Boeing to buy five Boeing 777-300 ER at a total cost of US$1.9 billion, with delivery of the first batch expected to take place in October 2005. 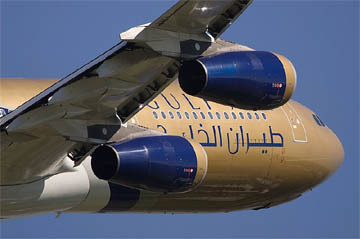 Gulf Air has appointed Ali Qannati as regional general manager of Asia Pacific region. Mr. Qannati is based in Bahrain. "The market in the Asia and Pacific region is undergoing significant change with the entry of several low cost entrants. In this climate careful market segmentation and excellent customer relationship management will be important in distinguishing Gulf Air from its competitors," said John Butler, vice president marketing and Sales. Ali's appointment will ensure that our vision of excellent customer service is implemented across the various regions in which we operate. The appointment also reflects careful consideration of the respective regions and the specific requirements of their customers. Ali Qannati was formerly the sales development manager for the Gulf, and has held numerous senior sales positions over the last 22 years.